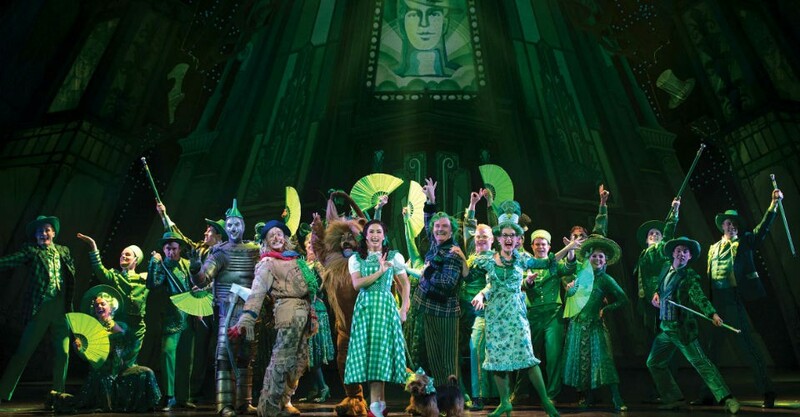 The London Palladium production of The Wizard Of Oz contains all the songs from the original film and all the favourite characters and memorable moments. It also includes some brand new songs by Tim Rice and Andrew Lloyd Webber. Following highly successful seasons in Brisbane and Sydney, The Wizard Of Oz comes to Adelaide with a stellar cast and a few surprises to delight seasoned and new fans alike. 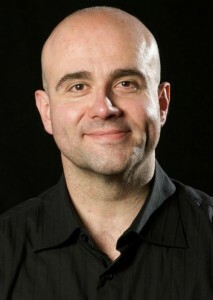 Anthony Warlow is The Wizard and Professor Marvel, while Lucy Durack and Jemma Rix reprise their Wicked roles as Glinda the Good Witch and The Wicked Witch of the West respectively. Working alongside a fabulous ensemble cast, rising star Samantha Dodemaide plays Dorothy, her first leading role in a major musical, with Eli Cooper as the Scarecrow, Alex Rathgeber as the Tin Man, and John Xintavelonis as the Lion. We speak with John X, and begin by discussing Lucy and Jemma’s return to the Land of Oz. “The both jumped at it when they got the phone call from the producers. They’re playing the same characters, but with different characterisations. And for the first time they don’t need to do as much because they’re not running the show; the main work is done by Dorothy and the friends. Undoubtedly, The Wizard Of Oz movie is an absolute classic. 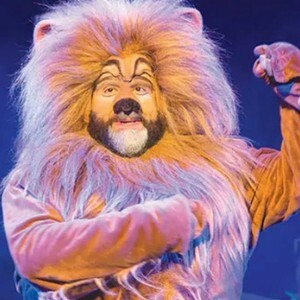 John tells us about his role as the Cowardly Lion. “Playing the Lion is the best,” he says. “He’s like Santa Claus; everyone loves him and he’s not scary because he’s a big chicken. Having played Pumba and a Warthog in The Lion King, I seem to be making a career out of playing animals [laughs]. With the Scarecrow, Tin Man and Lion, have you all been given free rein to create the characters by your own stylings? “Absolutely! From Dorothy to the Witches to the characters, everyone gets to make their own role,” John says. “The last thing we would want from audiences is boredom at seeing an exact replica of the film. The Lion and the Wicked Witch are probably two of the most iconically caricatured of the characters, and bringing ourselves to those roles has worked absolutely fine. The bare essence of the lines, songs and characters are there but there is a fresh take on all the characters because of the people who play them – which makes it very interesting and a lot of fun for the audience. “The responses we are getting from theatre goers and from meeting people at the stage door shows just how much people love this production. It’s so cleverly done that there is something in it for everyone, whether you are three or a hundred and three. Everyone loves it! Tell us about Toto the dog. Is it real? “Is it ever! And smart as!” he says. “There are two dogs – Trouble (boy) and Flick (girl/understudy). Luke Hura, the dog trainer, trained Bouncer for Neighbours, as well as Red Dog and a number of other well-known dogs. He found these two Australian Terriers and trained them from scratch. He’s amazing! Jemma must be relishing this role as the sadistic Wicked Witch Of The West. “Yes, and you can’t help but love her. As evil as she is, there are some good down-to-earth attributes that this character has got that, at times, you can relate to her,” John says. “When you think about it, she turns up in FestMunchkin land to realise her sister has been squashed flat by this little girl’s house that appeared out of nowhere. And then Dorothy steals her shoes [laughs]! The show really is timeless and ageless. The Wizard Of Oz performs at Festival Theatre, Adelaide Festival Centre, at various times, on Sun 1 Apr until Sun 29 Apr.